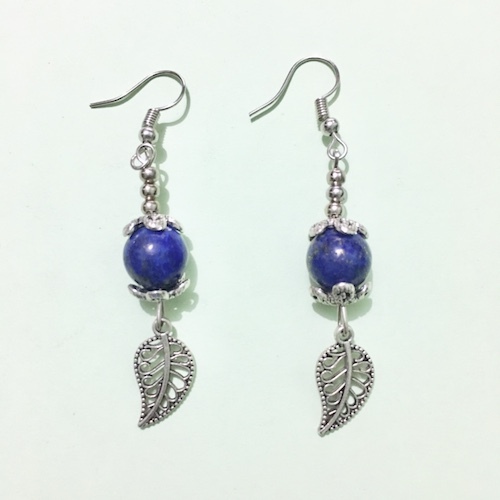 Buy lead-free dangle earrings with genuine 10mm lapis lazuli beads from the best online crystal shop in the Philippines. Lapis Lazuli is a powerful stone in promoting wisdom and good judgment. Due to its ability to enhance memory and stimulate the desire for knowledge, it is an ideal stone for students. Wearing this stone in the workplace help one attract promotion, success and lasting recognition in any chosen field.